'Tis the season, everyone's doing a Christmas thing at the moment, and the Grand Hyatt are not to be left out either. 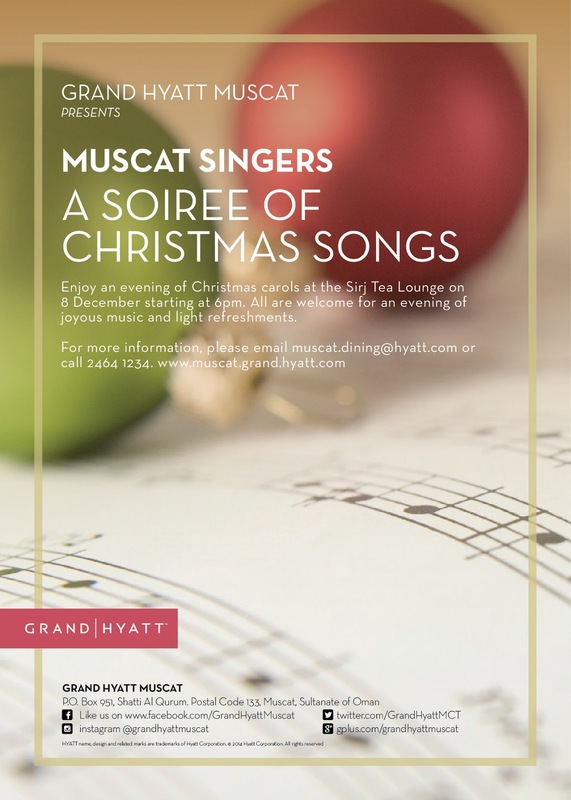 The Muscat Singers (who I blogged about this morning for a different concert) are going to be singing carols in the lobby of the Grand Hyatt on Tuesday evening from 6pm. Santa is making an appearance with presents for the kid's too. So if you fancy some mulled wine, mince pies and a spot of carolling to entertain the kids this week, why not head to the Hyatt this Tuesday evening.